- Powell Street BART station. - #30 Stockton Bus (Stockton/Geary stop going south, Kearney/Geary stop going north). - #38 Geary Bus (Stockton/O'Farrell stop going east, Geary/Stockton stop going west). 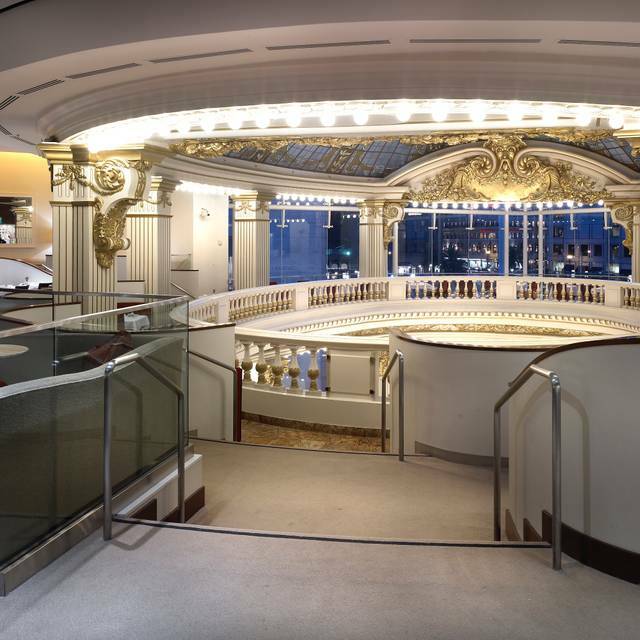 The Rotunda specializes in evening events including wedding receptions, corporate and convention dinners, cocktail parties, rehearsal dinners and holiday parties. Holiday parties are especially beautiful with the four story Neiman Marcus Holiday Tree rising up through the restaurant. 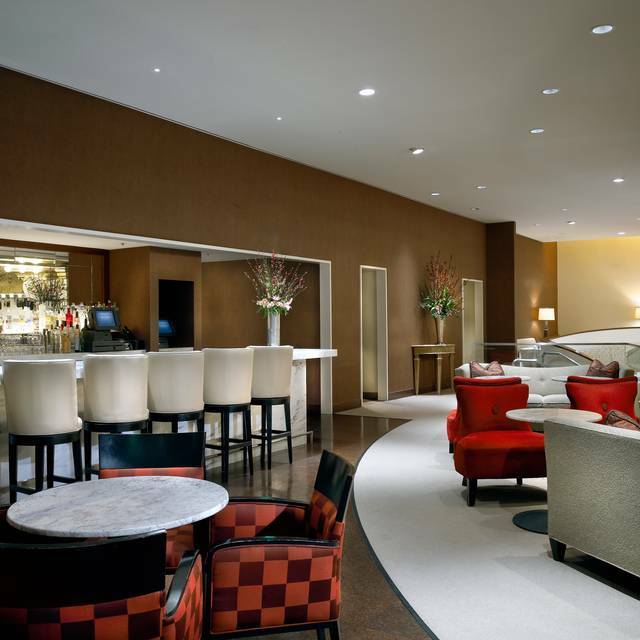 The floor to ceiling windows offer guests an intimate bird's eye view of Union Square. 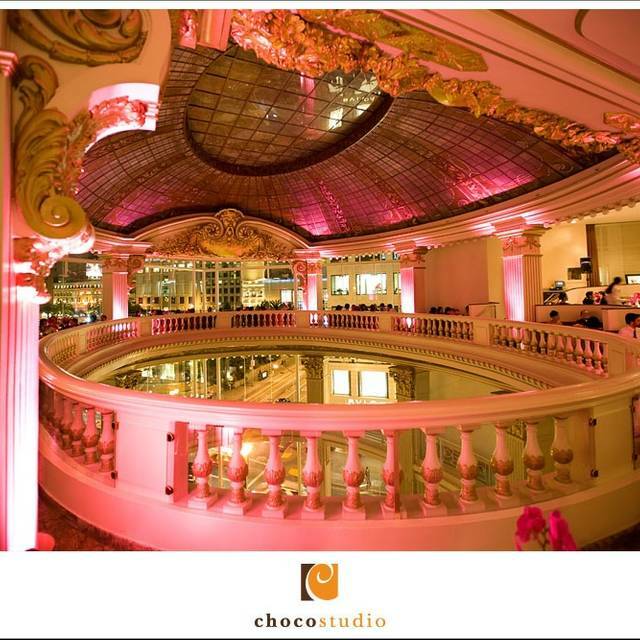 The Rotunda can accommodate up to 160 seated guests with a dance floor, 200 seated and 225 standing for evening events. 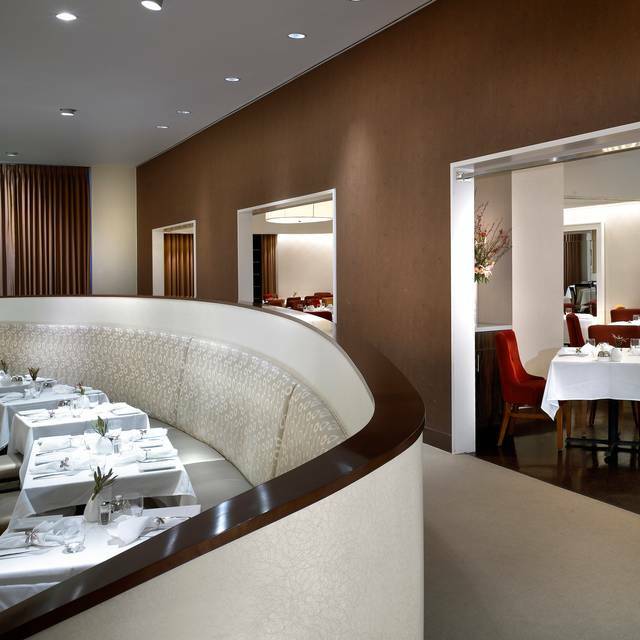 There is a private elevator on Geary Street that takes guests directly to the restaurant after the store is closed. 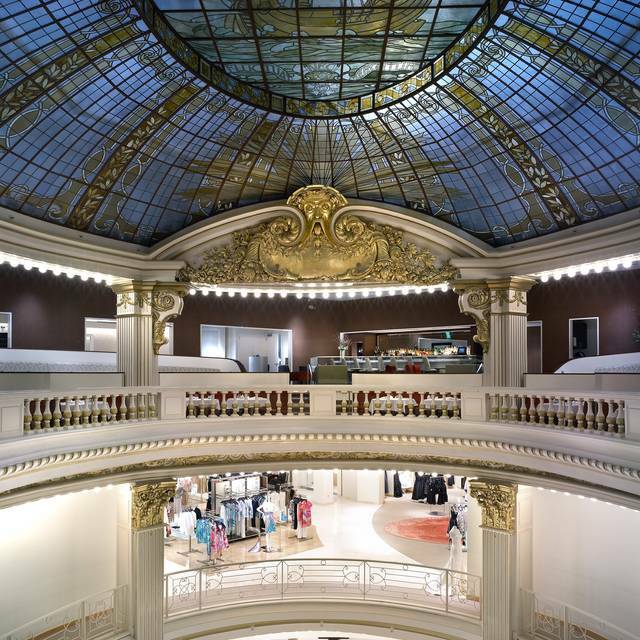 We invite you to take part in a time honored San Francisco tradition and lunch at the Rotunda at Neiman Marcus. 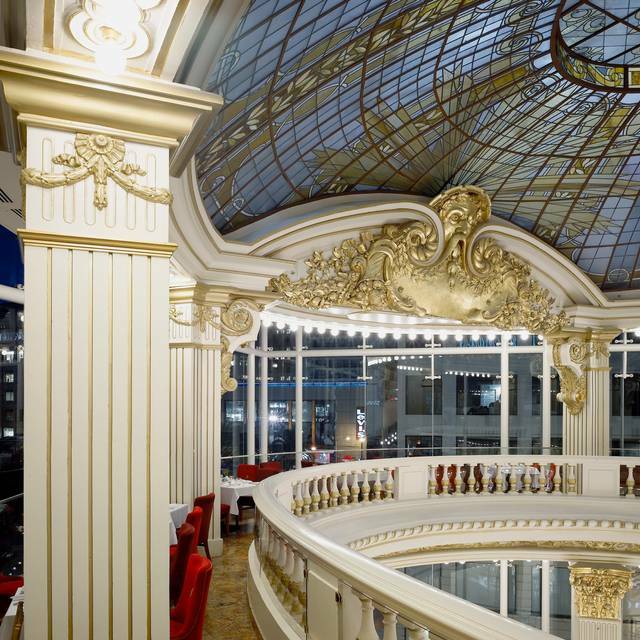 This spectacular restaurant sits underneath a stunning glass dome constructed of more than 2500 pieces of colored glass. The room curves around a central atrium four stories above the entrance. 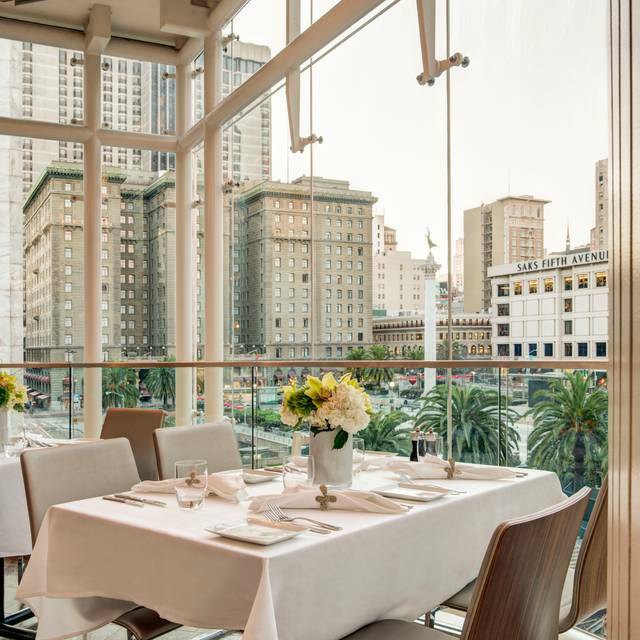 Be sure to request a cozy private booth or a window seat overlooking historic Union Square. Indulge in a glass of bubbles while noshing on our signature Lobster Club or savor delicate sweets and tea sandwiches with our Afternoon Tea. I brought 2 friends who has never been to the Rotunda for lunch. One of the them, it was her birthday. She was very surprised. I recommended the lobster roll sandwiches, of course (which is the best). When our waiter mentioned lobster bisque soup. 3 was ordered right away. I myself this time had the butternut squash pasta, which I enjoyed so much. Both ladies enjoyed their food. They will be returning with friends themselves to try other dishes. And Afternoon Tea. So, so. Air conditioning was broken. Unusually hot. Some of the tea items were stale. It was great to celebrate my birthday with family in an amazing atmosphere! Thank you! Caesar Salad was ok, very little dressing and I noticed that romaine was brown on edges . It’s a beautiful location which is why I picked it, but after two mediocre salads and coffee/iced tea, didn’t feel that the $100 plus dollars I spent was worth it. We ordered the Shrimp Louis salad and it was a disappointment . The shrimp was large and tough and the salad and dressing very mediocre. Service was excellent, but all in all won’t come back anytime soon. Always a wonderful experience. Such a beautiful space, with excellent food and peerless service. I absolutely love this experience. It's so elegant, refined, and special. Beautiful, classy restaurant. The view is amazing and so is the service. My grab salad was dry and blend. Food is average, atmosphere is wonderful. pricey, but worth it, if you want romantic place. I brought my mother here for afternoon tea to celebrate her birthday- tea at The Rotunda is always exceptional with excellent service. My mom traveled from out of state and she really enjoyed herself. Ask your waiter(ess) to take a photo of your table and company when the tea/scones/mini sandwiches arrive! Each year, I try to reserve a tea for two in the month of December since holiday tea is special. Our server and the service overall was exceptional. Would highly recommend visiting if you’re in the area!! The Rotunda is a beautiful location, and was perfect for celebrating my Mom's birthday. We were seated right away with our reservation. The waiter seemed rushed and a bit impatient taking our orders and in placing the sandwhich tea tree on the table (a leg of it landed in the lemon curd tray). And it would have been nice if the crumbs would have been cleaned from the linens in between the popovers (which were delicious) and the serving of the tea sandwiches. Our water cups were promptly refilled, and our tea kettle promptly filled with hot water, and that server seemed relaxed and not in a hurry. Also loved that we were not rushed away from our table once we were done eating and that we were left to enjoy finishing our tea. It was a good experience, thought they could have given a better table based on my request and reservation. Additionally it took them 30mins to sit 2 people. Service staff was very attentive. Quality food and tea. Such a great place for lunch before or after your shopping excursion around Union Square. 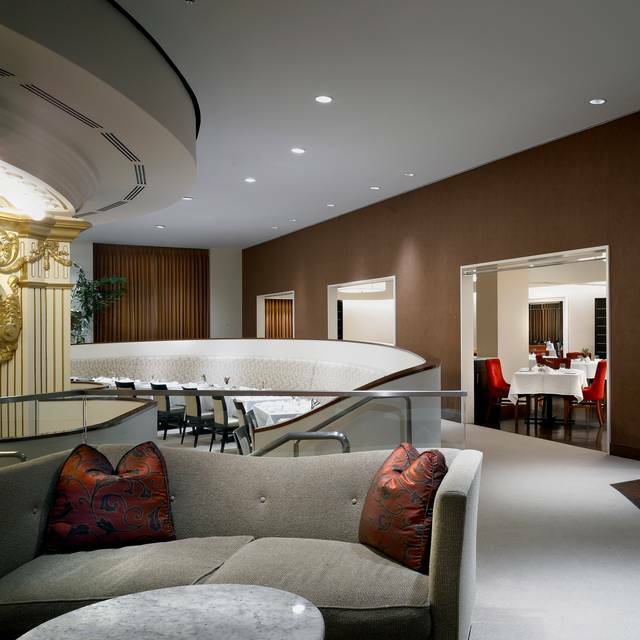 It's pricey, but you'll enjoy the food and the ambiance of The Rotunda. Awesome food, great Many brunch options . Awesome bloody Mary’s , service excellent. Wonderful place for Ladies who lunch. Lobster fries!!! Birthday cupcake is gross. Only complaint. The view from the Rotunda is currently ugly due to the construction at Union Square. Menu consistently good. I would suggest other venues until the construction is completed. Gorgeous room. Nice touch giving diners the "amuse bouche" before lunch consisting of the popover, and the chicken broth. Both of which were delicious. Friend had the crab sandwich and said it was the best she ever had. Great place to have lunch in a beautiful setting. Food is good but very expensive. We always go for the atmosphere and experience - it's worth it. Their specialty bread is always a treat and we really like the additional complimentary broth starter with a little cheese bread bite. 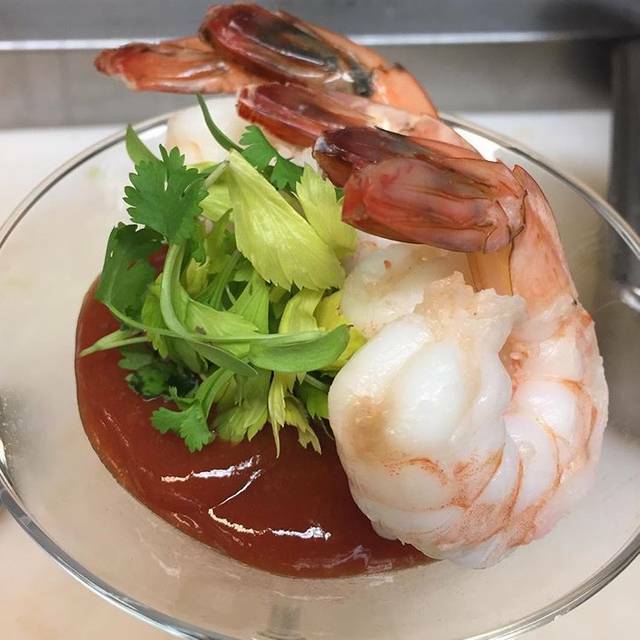 The shrimp cocktail had way too much sauce at the base and overwhelmed the seafood. Chicken salad was good but fruit presentation could have been better. What always makes an experience is the service and it's always excellent. Jason, our server, was perfect. Rare to get polished service such as this. Food, though a little on the high side, and ambiance are great! Would be a lot better once Union Square's construction is over... Would definitely recommend to first timers in the city. Restaurant’s bathroom have no changing table. Very inconvenient for people who have kids. Air conditioning is not enough as it is under the sunlight so makes it very stuffy. Quality of the tea service was so so. The food is not that great and definitely not with the price. We had a wonderful experience! We were prom dress shopping for my friends daughter and we decided to take her here for a special lunch. The consommé and popover are always delicious. I recommend the lobster club but would steer away from the crab melt. Best waiter I have ever had there. His name is Nick. The food quality dropped. The server had boogers in her nose which was very disturbing. The other server had pretty bad armpit smell when he was trying to clean up the table. The environment is nice tho. Wonderful experience with superb service. Would highly recommend. Thank you! I always love The Rotunda. Atmosphere, service, and dining. One thing I have to criticize for this experience is the server at our table wasn’t too attentive but fast when he pick up the check. Understood a busy sat. Overall is good and will still go. This is a great place for a special lunch like a birthday for a college roommate! The view of the amazing dome with the view of Union Square is beautiful. My visits have been limited to special occasions because of the price but our food and service was excellent. The ambiance is not good. There is mess on the chair and no one clean it. The food is just okay to eat. Not good but can be eaten. But, the view is great. If people wants to have a nice view of the union square, this would be great choice. Great food as always and we love the atmosphere. I now live in Sacramento, but love it when I have the opportunity to share a meal with a friend here. The staff was very kind, the interior was unique and perfect. The food tastes good, too. It's expensive, but it's big in quantity. Server was excellent and food was very good. What a lovely spot for a special luncheon. Charlie was our very attentive waiter. He is top notch and incredibly accommodating when we discovered a very wobbly table they made sure we were comfortable. Oh and those Popovers are what dreams are made of! The Caesar salad was close to inedible. The chicken was a pale blob of meat. It was not sliced, had no flavor or seasoning. The greens were filled with the core of the lettuce; at least four of them. Altogether unappetizing and not even close to what I have experienced prior to this visit. Obviously, the attention to detail is no longer a top priority. At this price point it is unacceptable. I was taking a guest from Ohio so I could not complain.